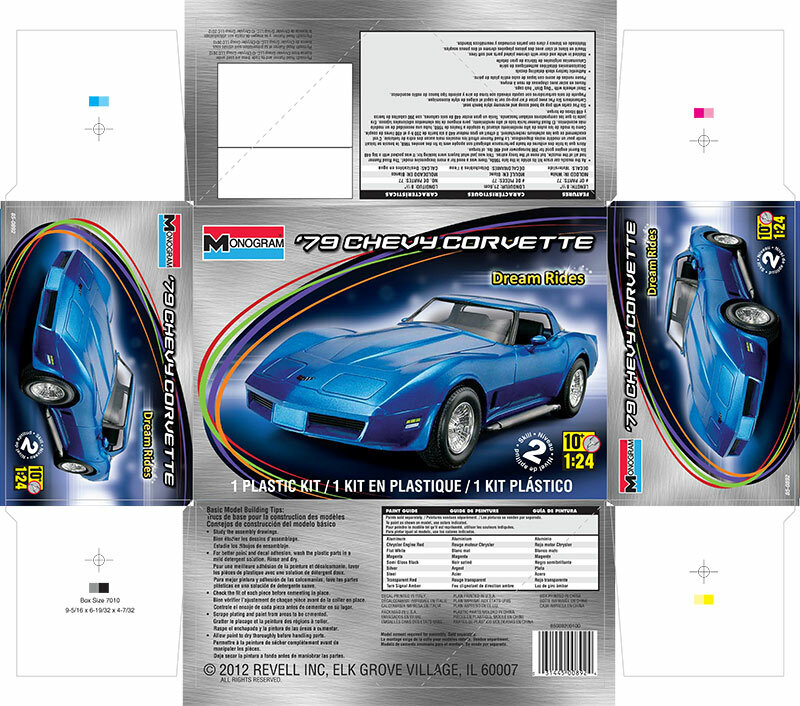 Model car kit box art packaging design and illustration for Revell / Monogram Models. 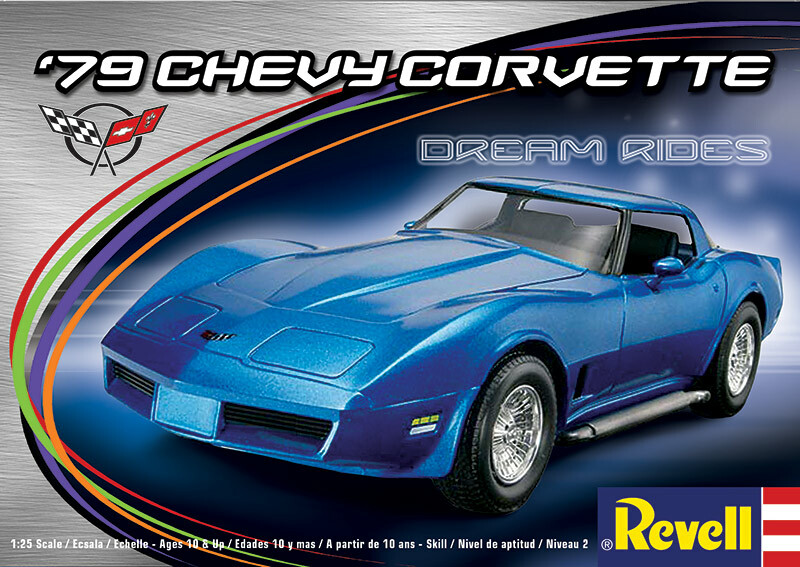 I've designed several different model car kit box designs for Revell / Monogram Models. For these projects, I was asked to come up with a box designs for several different series of kits. 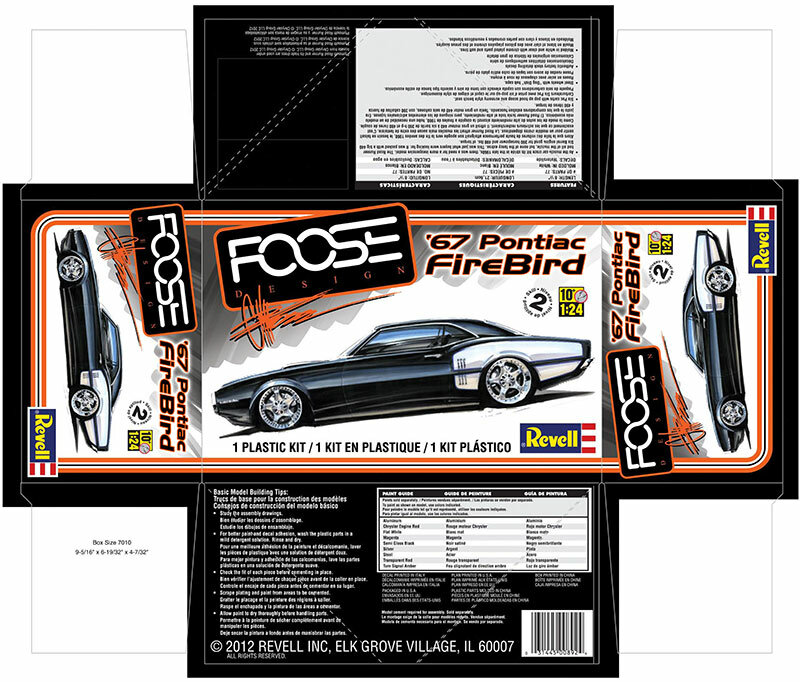 The first box design I did for them was for a line of enthusiast car kits made up from existing tooling. These kits were all previously issued kits and they wanted to breath new life into them. I came up with the name "Dream Rides" and designed a logo for it. Since the box had to work with a variety of cars, I created a stainless-steel graphic pattern mixed with multi-colored stripes which I thought gave the box a premium, contemporary feel. Below is the final template which I delivered to Revell. Their internal graphics team then update the art as new models are introduces into the line. 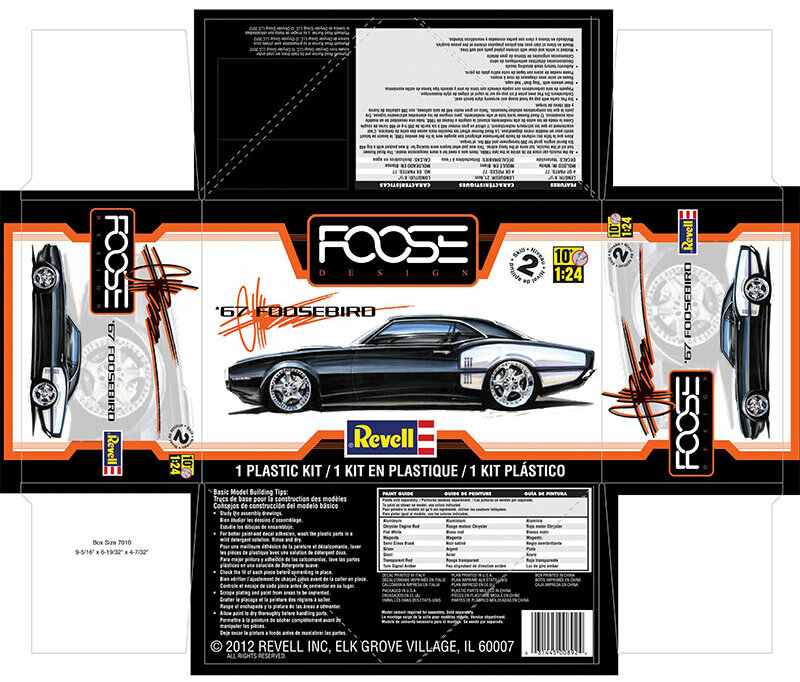 The second box design I did for Revell was for a line of kits using Chip Foose licensing. 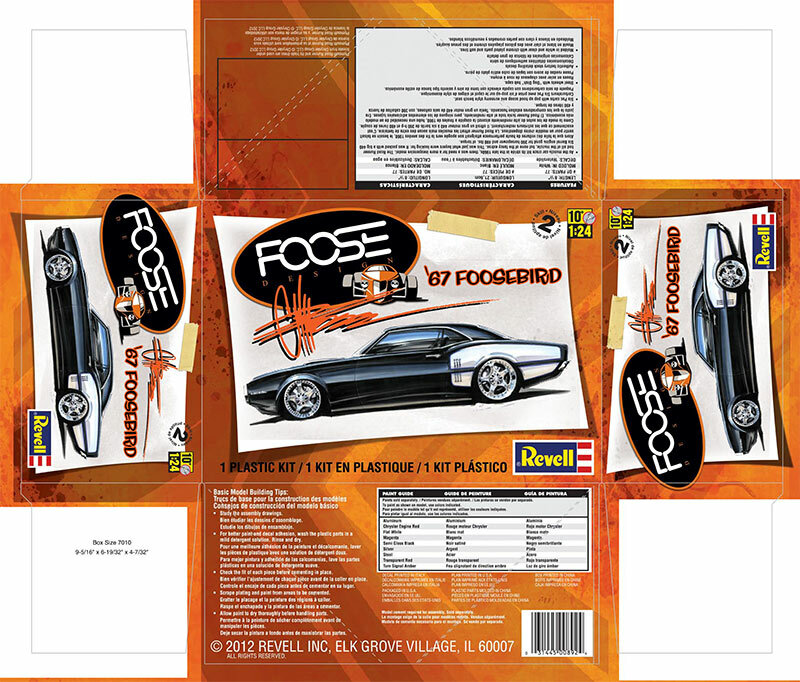 Chip Foose is a famous designer of hot rods and the host of the show "Overhauling." For these boxes I wanted emphasize the neat hand sketches Chip does, so I created a layout with a large white space area and a gray "marker shading" background which helps the sketches"pop." Shown below are the preliminary concepts I presented to Revell and the final box design.